A massive car-bomb blast rocked a stronghold of the Lebanese Shiite Hezbollah militant group in a suburb south of the capital, Beirut, torching scores of nearby cars and injuring at least 51 people, security forces said. An explosive-laden car targeted a shopping mall in the Bir al-Abed area, nearby Hezbollah's so-called ‘security square’, where many of the party's officials live and have offices. A think plume of black smoke was seen billowing in the sky over surrounding high-rise apartment blocks, while dozens of cars were set ablaze following the blast. The wail of sirens filled the streets as ambulances and fire engines raced to the scene. Hezbollah operatives in civilian clothes, some of them carrying Kalashnikov rifles, cordoned off the affected area, where nearby buildings were damaged in the explosion. They, along with Lebanese security officials, kept journalists away from the site of the attack. Initial reports from medics on the scene that an indeterminate number of people were killed in the attack were contradicted by Health Minister Hassan Khalil, who told Reuters there were no fatalities despite the large number of those injured. 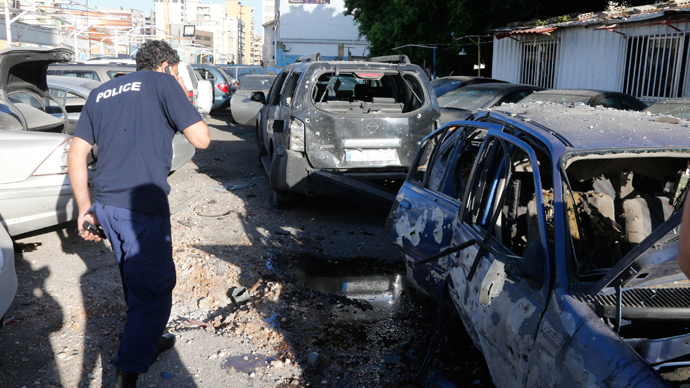 “I haven’t heard an explosion like this one since the 1980s [when a car bomb targeted Hezbollah’s late spiritual leader Sayyed Mohammed Hussein Fadlallah],” a woman in southern Beirut told France24. Around 100 Hezbollah supporters marched in the area after the blast, carrying pictures of Hezbollah leader Sheik Hassan Nasrallah and chanting slogans in support of the movement. 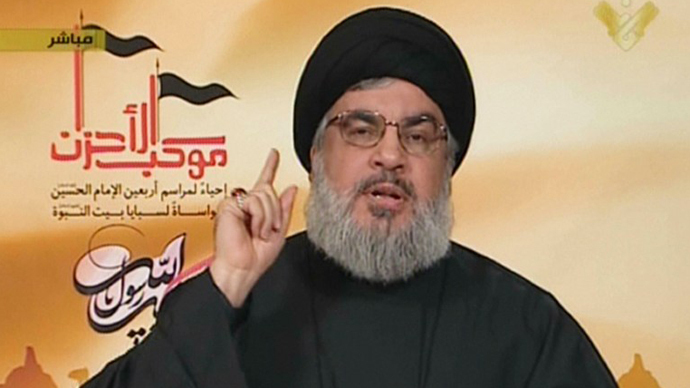 "Shiite blood is boiling," the Hezbollah supporters shouted. Hezbollah operatives fired into the air to disperse people who lobbed stones at Interior Minister Marwan Charbel after he inspected the scene of the blast. The minister was forced to take shelter in a nearby building for 45 minutes until he was whisked away through a back entrance. France24’s correspondent in Beirut said the attack could very well be "Syria-related" due to Hezbollah's involvement in the ongoing civil war in neighboring Syria. “This is the work of agents trying to create strife in Lebanon,” said Hezbollah parliamentary Deputy Ali Meqdad at the site of the explosion. Charbel said the attack was "a criminal act aimed at destabilizing the country and creating Sunni-Shi'ite sectarian strife", while President Michel Suleiman said it reopened the "black pages" of Lebanon's 15-year long civil war. Although Beirut has officially remained neutral on the Syrian conflict, Lebanese society is deeply divided into pro- and anti-Assad camps. Lebanon's Sunni Muslims by and large support the rebels in Syria, while Shiites have largely supported Assad, who is a member of the minority Alawite sect, an offshoot of Shia Islam. 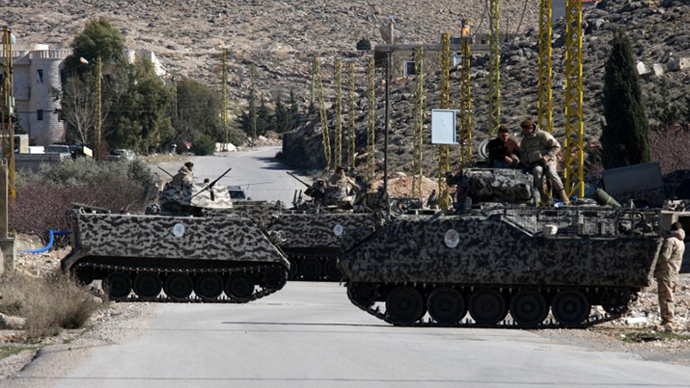 Hezbollah is openly fighting on the side of President Assad, as they group played a key role in helping government forces regain control of the strategic town of Qusair near the Lebanese border. Although no one has taken responsibility for Tuesday’s blast, Sunni Muslim militant groups have previously threatened to carry out attacks against Hezbollah in response to its intervention in Syria. In May, four people were wounded after two rockets slammed into a Hezbollah stronghold in south Beirut. 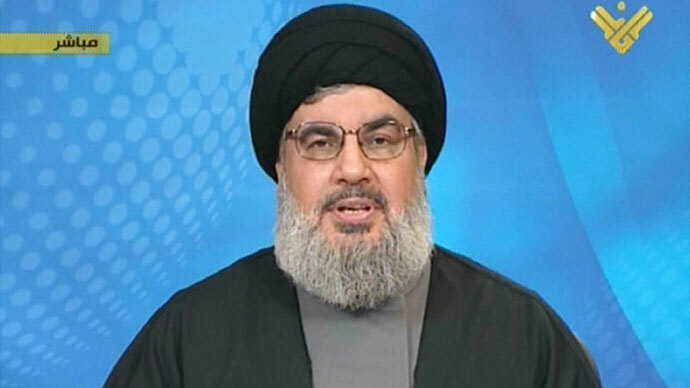 The attack occurred just hours after Nasrallah vowed that Assad’s forces would emerge victorious. 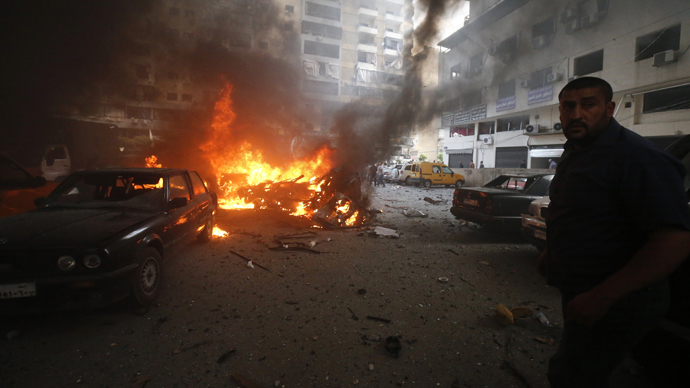 In June, a rocket targeted the same area, causing no casualties. 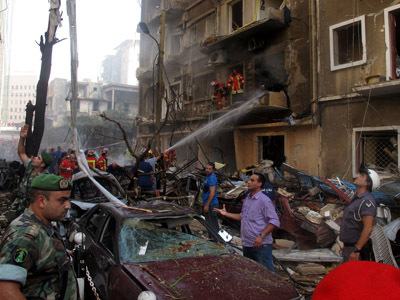 Beirut blast: Who serves to gain?